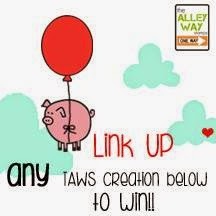 The Alley Way Stamps: eek.. because I can.. Giveaway!! I love these days! The days where being the owner means you can do whatever you want.. there are no set rules.. :) Today I wanted to release a set I think all of you will love.. I know I do.. it's called..
this set SCREAMS girl.. and I "heart" it..
of course the eyes, flower, and kiss me are all separate images too..
a little funny story about this set.. well I wanted to add some lips to it.. and I had a cold sore.. so my adorable 12 year old let me "borrow" HIS lips for this.. He would die if he knew I was telling you that.. but YES it's true.. those are his lips.. they were stained with amazing color too.. what a sport in the name of craftiness.. gotta love him for that.. 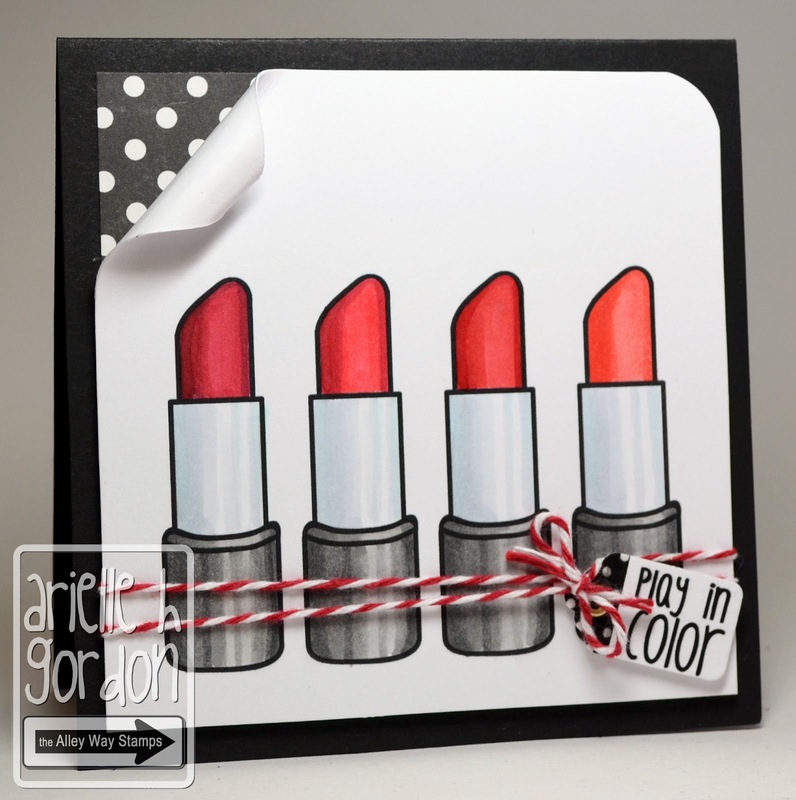 Here is a simple, yet playful card I created..
... and here's one from Arielle ~ Ooh-la-la!!! And one from Audrey too! One lucky comment-er will win this set for FREE.. :) so leave some love below, and an extra if you share on your blog or FB :) You have until 9:30 PM TAWS time on Sunday the 16th to play along..
Tell me what stamp set you would like to see next? LOVE this new set!!! Thanks so much for the chance to win! Oh this is Super Adorable! !! Love it! I would love to see a puppy dog set . Love this set ..its so girly and fun...and really liked the dt's inspiration using this set...very lovely!! I would love this set, thanks...please pick me! Oh this is so girly and I heart it too. So much fun. I am posting on my FB page. Thanks for the chance to win. Alison, you are a crafting genius! Awesome new set. The ultimate girly girl images and sentiments. I can't wait to see what everyone makes with this! What a FABULOUS stamp set!! This is a gorgeous set, those lipsticks are amazing! I think I would like to see a craft set, you know scissors, maybe a sticky tape dispenser ,pens, jars etc. ;o) just of the top of my head. Shared on fb too . what a fun stamp set, I esp love the lips! next I'd like to see some doodle hearts. valentines day is right around the corner! Super cute Alison!! A great addition to the collection, this set is perfect for those chic cards we love to make. I will love to see a set with a cute retro camper. They are so cute!! How very fun! Would make some adorable gift card holders for salon spa treatments. What an adorable set!!! in a house full of boys....girly things are few and far between....I LOVE this!!!!! I shared this on fb also!!! 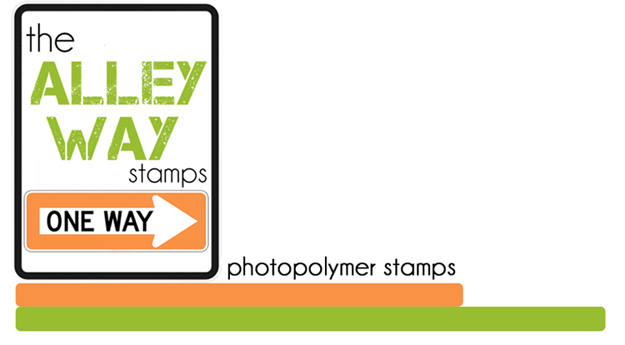 Have a GREAT day The Alley Way Stamps!! It is about time something this cute our for all the girly-girls out there. Love it! oh, this set is just too cute, love the lipstick and nail polish cards, wait, love the eyeshadow too, love them all! Adorable ... I'm all about shoes & nail polish ... maybe a whole shoe set with a variety of styles & sentiments. LovE this set and would love to win them! Thanks for the chance! Great set!! Love all the makeup. What a cute stamp set! How about something quirky, like a set of chairs? (Adirondacks, straight backs, retro, etc.) Thanks for the chance to win! I shared on my FB page! Thanks for the additional chance! Oh, how fun! Love the nail polish card! These would be great to play with! What a fun girly set! It's so colorful. Danielle's card makes me want to paint my nails. Danielle has got the COOLEST ribbon stash ;) I'd love some stamps that would work well for anniversaries. This is such a super cute set, Allison!!! I LOVE the satmples!!! OMG!!!!! Love, love, love it!!!! Thanks for a chance to win!!!!!!!!!!!! By the way, love the inspiration cards!!!! I would like to see some cute doggies, with a poodle included in a stamp set. Eek! This is so super awesome! What would I like to see next from TAWS? Hmm...maybe something masculine, like Father's Day or something - ties, glasses, golf, sports, fishing, something along those lines. So so fun! Love this set. What a great surprise! Would love to see a school set next. How fun! Love the perfume bottle! I'm a sucker for anything with birds so I always enjoy those, or perhaps some more backgrounds. I shared this on my facebook page:) I love your stamps!! wow the dt cards are always so inspiring! love how they think outside the box. I would love to see some cute baby themed sets!!! I this this set is so super girlie, I love it! Fun! FUn! FUN! As for the next TAWS set...maybe something jazzy? What a fun and precious set of stamps! Thank you for the opportunity! Being the owner definitely has its perks! And being the lucky winner would be even MORE awesome. What a DARLING set! 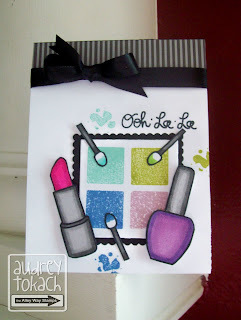 And love your Oh La La card - that hot pink lipstick is the bomb! I would have SO MUCH fun making cards for my nieces and bff's with this adorable set! Thanks for the chance to win! Cute stuff!! As for the next set... I'm always up for more cute monsters. Don't tell your son, but he has beautiful lips, lol. The lipstick & lips are my favorites in this set. Would love to see Christmas stamps next. I love this set-and adorable cards! Wow this is an awesome stamp set very girly love it. 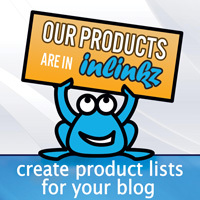 I have posted it on my blog and shared on Facebook. I shared it on facebook and would love to see a fun turkey/thanksgiving set. AWK!!! This set is adorable! I love the lipstick image...and the nail polish! 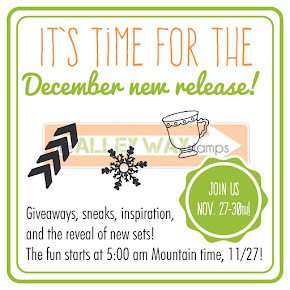 Already thinking of fun ways to use this set!! As for what kind of set I would love to see next, how about doily stamp motifs? I've just been loving circular shapes...especially doilies! Or if not that, I am always charmed by food themes! What a great stamp set. I love the perfume bottle. Great set...thanks for the chance to win. Liked on fb. The items in this set are wonderful with so many ideas swirling in my head to create with it. Had you considered a baking set for Christmas but including a variety of cookie shapes to make it more useful for holidays year around stars,trees,hearts,eggs,birds,along with measuring cup,bowl,rolling pin,measuring spoons, cookie sheets. All gorgeous! i love them all, but probably the lipstick and audrey tribute are my faves! I also love the pink & orange ribbon. So cute and girly! And of course thanks for the chance to win! Super cute....gotta have this one. Would like to see a typewriter or newspaper set. DARLING set! I've shared this on my FB wall, and am happy to do it! Alley Way has such cute stamps. Woops....P.S. The next stamp set I'd love to see would be a vintage box camera. I'd like to see a "junkfood" stamp set - hamburgers, fries, bag of chips! That will be equally fun. Loven' this great stamp set!! So fun and perfect for girlfriends notes and birthdays, etc! A larger hexagon stamp set. One that comes with dimension to be added or not, like your tie one. A gnome stamp with mushrooms, house, tree with hole in center, etc, and of course an adorable little dear. I have a thing for those. I can go on and on, so don't get me started!! Such a cute and girly set!! I'd love to win! A future set focusing on the seasons/foliage would be great!! What a cute stamp set...so girly. I would love to see something related to teens or fall images. This is so girly and cute would love to play with it! Great, girly stamp set. I'd love to use it for scrapping as well as cards (girls' night out; prom prep, etc). Thanks for the chance to win. I'd love to see a Thanksgiving set, with some seasonal decor and themed sentiments, seeing as you're asking! I LOVE this set! It is sooooo cute! 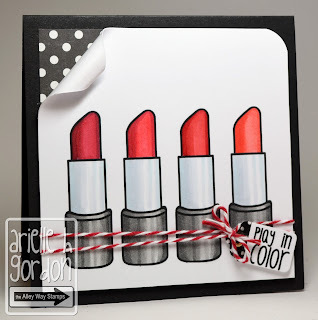 Wow what a stamp set and I am just starting in cardmaking love your blog. I think I'm too late but I love this set! Awesome new set! The DT knocked this preview clean out of the ball park! I often think how nice it would be to have a stamp set that you basically could connect to create your own swirls, flourishes, lines, dotted lines, corner pieces etc. Thanks for a chance to win this set!